Fri., Dec. 1, 2017, 7:25 a.m.
WASHINGTON – U.S. construction spending surged 1.4 percent in October, the best gain in five months, with all major categories of building posting gains. The October spending increase was the third monthly gain after more modest advances of 0.3 percent in September and 0.5 percent in August, the Commerce Department said Friday. Home building was up 0.4 percent, with strength in single-family construction offsetting a drop in apartment building. Nonresidential construction rose 0.9 percent after four straight declines. Spending on government projects jumped 3.9 percent, the biggest one-month gain in three years, with spending at the federal and state and local levels all showing increases. 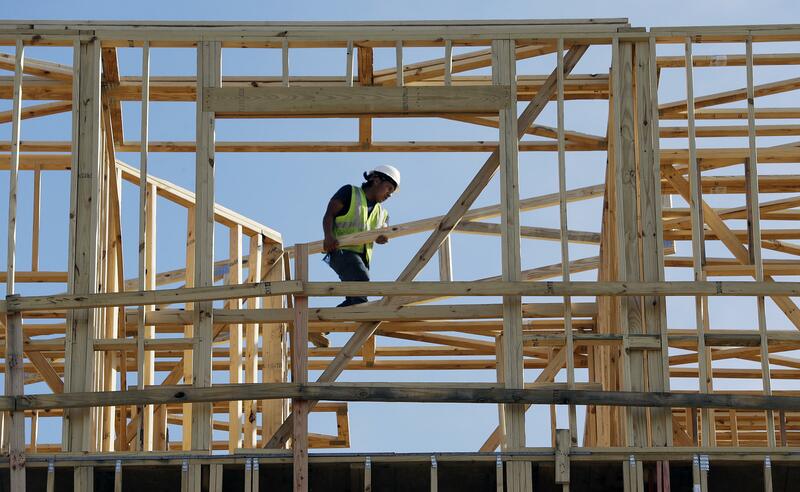 Though home building has been weak for much of the year, economists expect such construction to rebound as a strong job market boosts sales in coming months. The overall economy grew at a healthy annual rate of 3.3 percent in the July-September quarter, the best showing in three years, even though residential construction declined for a second straight quarter. But economists remain optimistic that the low level of unemployment – 4.1 percent in October – will spark a sustained rebound in sales and construction. The strength in October was evident in all major sectors of construction. The rise in housing construction reflected a 0.3 percent gain in single-family homes, which offset a 1.6 percent drop in the smaller apartment category. In the non-residential area, office building was up a strong 4.4 percent, and hotel construction rose 2.3 percent. Those gains offset a 1.9 percent fall in the category that covers shopping centers. In government categories, spending at the state and local level rose 3.3 percent, while spending on federal projects jumped 11.1 percent. Published: Dec. 1, 2017, 7:25 a.m. Tags: construction, October, spending, U.S.